The Lazy E L is a working ranch on 12,000 acres, not a dude ranch. Our guests are treated like family as we move and doctor livestock, fix fences and put out salt. You won't find 25 person rides, string quartets, or a chocolate on your pillow. 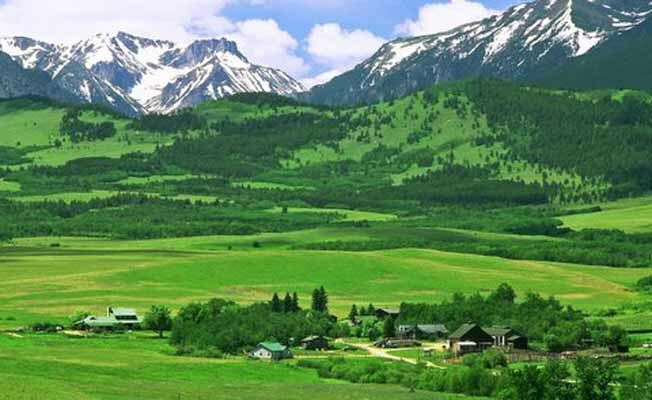 You will find comfortable accommodations in historic cabins, your own horse, a wrangler, hearty home cooked meals and spectacular scenery in the foothills of the Beartooth Mountains just north of Yellowstone Park. If you don't want to ride, the ranch offers hiking, fishing and acres of peace and quiet in which to read a good book, or simply to muse.